A meeting last week between Business Unity South Africa leader Sipho Pityana and president of the Black Business Council Sandile Zungu was "amicable and encouraging", Pityana told Fin24 on Tuesday evening. "We both agreed on the need for a common platform for a business voice. To that end we have appointed a committee of equal representatives from the two organisations - four from each - to explore how that aim can be achieved," said Pityana. "There are ideas, for instance, of going forward as a confederation with various organisations or as a collaboration which keeps the different bodies separately. No conclusions have been reached on the various options. This is a first step, because the most important point is that we agreed that there should be one platform for the business voice." Fin24 reported at the beginning of March this year that an open letter Pityana to Zungu "further deepened the rift between the two formations which once worked together". Pityana wrote in his personal capacity and questioned Zungu's integrity and that of the BBC. Zungu, in turn, declared that the BBC would never work with BUSA for as long as Pityana is at the helm. 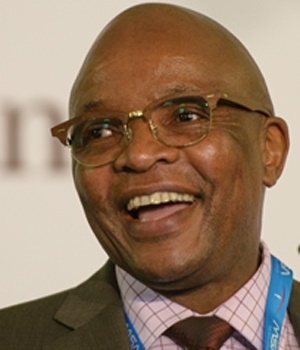 According to Pityana, at last week's meeting both organisations expressed concern about the precarious nature of the SA economy and that they had to work with government on the best way to navigate SA out of its current challenges. "The precarious economy is not good for any business - black or white," said Pityana. Another issue on which both business leaders agreed at the meeting, according to Pityana, was that progress transforming the SA economy has been too slow. He said both of them agreed that transformation was a critical enabler for economic growth. The negative impact of corruption and state capture on the SA economy and the functioning of the state was another issue that struck a chord mutually, according to Pityana. "We are both concerned that it has corroded public trust in government and also in business. We agreed that we must seek to find ways to play an active part to solve these challenges and problems," he said. "We both committed to rebuild public trust by encouraging ethical conduct and ethical leadership, especially among business leaders, since people look up to us. We must be consistent in the messages we send out. You cannot speak of ethical leadership if there are unethical leaders in your ranks." According to Pityana, they agreed to now go back to their respective members to obtain input and internal debate on the way forward. "Essentially we have crafted a road map of the unity needed to create a successful economy in the context of a society that is inclusive," said Pityana. Fin24 reached out to Zungu for comment, but at the time of publication he had not yet responded. A joint statement was subsequently issued by BUSA and the BBC, confirming what Pityana said.